The Brinkman Bog features fragile and unique habitats and is considered a “sanctuary” by the Conservancy. 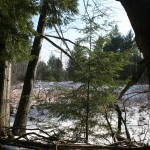 Two-thirds of the Brinkman preserve is a bog and represents the only bog natural community on the Old Mission Peninsula. The property is sanctuary for the bald eagle, a Michigan Natural Features Inventory species of “special concern”, and has two wet openings in the bog that are used heavily by a variety of birds and animals. 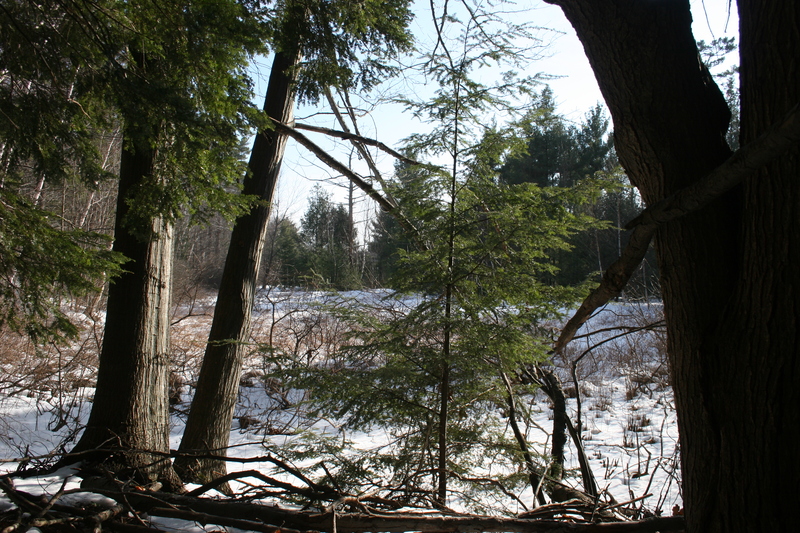 The rest the preserve is a mesic northern forest with hemlock, white pine, paperbirch, and American beech as the dominant species. Although Brinkman Bog is open to the public, its sensitive features are not suited to disturbance and dense vegetation make human passage difficult so there is no parking area or trails. Certain types of hunting are allowed on the property in accordance with state regulations. Please consider printing a Property Boundary Map to help stay in appropriate areas.